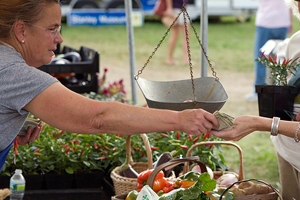 As farmers' markets extend their seasons and the demand for local food goes year-round, many growers are creating value-added products to take advantage of new marketing opportunities. The term value-added products encompasses a wide array of farm products, from specialty foods to non-food items such as straw bales and wreaths. In this article, we'll focus on creating value-added food products as a way of diversifying your farm's offerings, extending your selling season, and improving your bottom line. Starting with the basics — you first must decide what you want to make — we will then take a look at the practicalities, particularly the business side. They should be items you know and love, because your enthusiasm will be crucial to your marketing success in the future. Maybe you have a great family recipe for pepper jelly; or a special love of pesto; or you're part of the fermentation generation. Choose foods that interest you, and think about variations that could be developed into a multiple-product line, such as basil pesto, cilantro pesto, and parsley pesto. Experiment in your home kitchen to devise recipes that are delicious, economical, and feature ingredients from your own or other local farms. 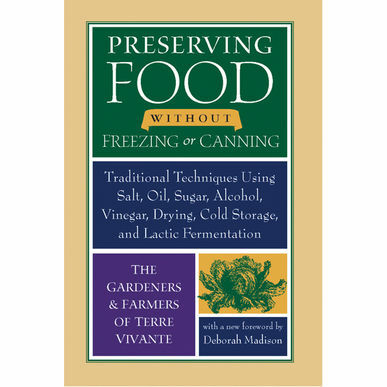 In the interest of simplicity, stick to one type of food process, such as canning, freezing, drying, or baking. Later on — when you've gained some mastery — you can give more consideration to an expanded offering. Research trends in your product category: are sales increasing, holding steady, or declining? Foods definitely follow trends, and you don't want to enter the market with a product that is falling from favor. Identify your competition, and pinpoint how your product will be different. 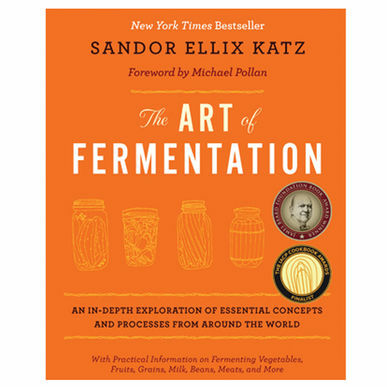 If your product is in a relatively novel category in your region, such as fermented foods, there may not be much competition — but you may have to engage in educating and sampling to stimulate sales. If the product is in a familiar category, such as jam or salsa, you will need to differentiate it from existing products. 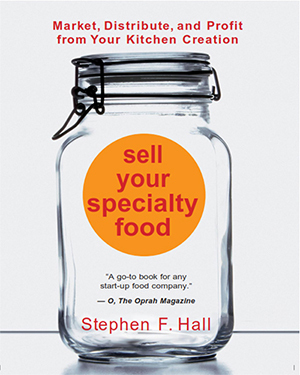 Look around, locally and on the internet, for artisanal foods similar to the products you're considering, and find out what the asking prices are. This information will be crucial to deciding whether the product will be a profitable one for you. Identify your target customers and how you will reach them. The obvious markets for local foods are farmers' markets and natural foods grocery stores, but that may not be sufficient. Many supermarkets buy locally produced food products, but have very specific requirements for delivery locations, schedules, volume, food safety certification, and product liability insurance. It's important to understand all the ramifications of selling into a specific marketing channel before building a business plan around it. Value-added foods can be produced for profit, for one's own use, or for sharing with friends and family. 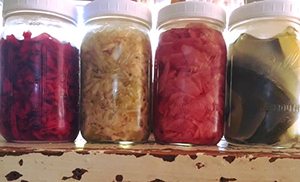 Johnny's Territory Sales Rep Amy Dolley ferments vegetables grown in her home garden for her family members. Image courtesy Amy Dolley, Johnny's Territory Sales Representative. "We use traditional German-style crocks for fermenting. They are clean and easy, keeping the food well submerged beneath stone weights with the added protection of a water moat at the tip of the lidded crock. It takes no electricity and does not heat up the kitchen in the summer when extra vegetables are abundant. Aside from any health benefits, we love our fermented products for the flavor. Sour, with a little bit of saltiness and effervescence." In the realm of the intangible, you have to ask yourself whether you really have the time and skills for the enterprise, or whether you will have to hire additional staff or outsource some aspects of the product marketing. As for tangible resources, consider your product ingredients and what you'll need to do to ensure sufficient volume — either from your own farm or other local farms. You will need to know all the costs associated with making your products, so aim for close price estimates when finding suppliers. Perhaps the biggest issue for a food product is where it will be produced. You have two choices: to do it yourself (DIY), or to hire a contract packer, also known as a co-packer. On the DIY route, your home kitchen will likely be disallowed for anything other than baked goods (and some health department regulations may require a commercial kitchen for those). Building one's own commercial kitchen requires a large expenditure, which you will probably want to avoid during your start-up phase. If your products are a success you can revisit the possibility, but at the beginning it is usually more expedient to look elsewhere for an appropriate facility. Turning a value-added idea into a profitable reality usually requires one to deal with a host of practicalities. An important trend in the local movement is the development of food hubs, which often include shared commercial kitchens that local growers may use. Commercial kitchens may also be available for rent at county extension offices, senior centers, social clubs, camps, houses of worship, or restaurants. Co-packers are manufacturing companies that handle the production of products, and may also be able to help with analysis, labeling, storage, and shipping. The benefit of using a co-packer is that these companies have the right equipment, food safety protocols, and experience to get the product made quickly. Choosing a compatible co-packer is essential, however, especially if you have your own proprietary recipes and want to use ingredients from local farms. One of the biggest hurdles to clear when starting a food enterprise is the regulatory environment. You may need to register with the US Food and Drug Administration, get inspected by your state health department, attend a training program, and more. You may need nutritional analysis labels, sell-by date stamps, and UPC codes. For each type of food process and each marketing plan, different sets of regulations apply. Commercial kitchens may available for rent in your area through local food hubs, CSAs, extension offices, and other community service organizations. Image courtesy Colleen Hanlon–Smith, former Operations Manager, Unity Food Hub. The Unity Food Hub is a local organization here in Central Maine that aggregates, markets, and distributes Maine food. 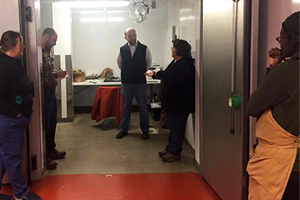 Housed in a renovated schoolhouse, the facility also offers a commercial kitchen, which recently received a visit from food safety expert Linda Titus (and she even made it fun!). While accomplishing all that may seem a tall order, there are numerous resources available to help the farm entrepreneur develop a value-added product. 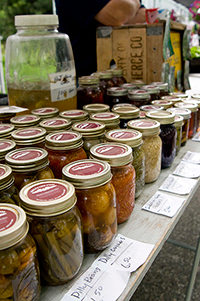 Your first stop should be your county extension agent, who can direct you to the appropriate person or department at your land-grant university; many universities have food science departments that specialize in helping citizens develop new products. They can often provide assistance for every aspect of value-added processing, from scaling up small-batch recipes to doing the nutrition analysis. They may be able to guide you toward co-packers, suppliers, label designers, and marketing professionals. In addition, there are numerous resources online to help familiarize you with this new body of knowledge you'll need to acquire. A good starting place, with many references to other publications, is ATTRA, the National Sustainable Agriculture Information Service, with the publication Adding Value to Farm Products: An Overview. Another is the Northeast Center for Food Entrepreneurship at Cornell University. Once you have a clear understanding of what will be involved in creating, manufacturing, and marketing your product, crunch the numbers carefully to make sure it will be profitable. Just as you would for a farm crop, create an enterprise budget that accounts for direct costs such as raw materials, labor (including your own time), and overhead costs such as higher insurance rates and utility bills. After your initial research, if the future still looks bright for your product idea, you will find great advice on Developing a Business Plan for Value-Added Agricultural Products in this publication from Oklahoma State University. One final resource that can help bring your planning to fruition is your local Small Business Development Center. The staff there is knowledgeable about financial and marketing aspects of business start-ups and well-prepared to help you with cash-flow planning, seeking financing, and staying on budget. Adding a new line of value-added products to your offerings can involve considerable legwork, but once you've put the business basics in place you'll be ready to enjoy the more creative, rewarding aspects of the enterprise. If you believe in your product, a little planning can go a long way, and the time you invest up front will more likely pay off down the road. Before heading off to market, it's always best to put the horse before the cart!